The Red Riots drop the first game, but then take the next three. GORHAM — Molly Mawhinney had eight aces and 12 kills as South Portland opened its volleyball season Tuesday night with a 3-1 win over Gorham. After losing the first game 25-14, the Red Riots won the next three, 25-12, 27-25 and 25-22. Kaleisha Towle added five aces, five blocks and 15 digs for South Portland, and Ashlee Aceto 16 assists. Meg Perry led Gorham (1-1) with three aces and seven kills; Maiya Carlson had five kills and Isabelle Kolb seven assists. 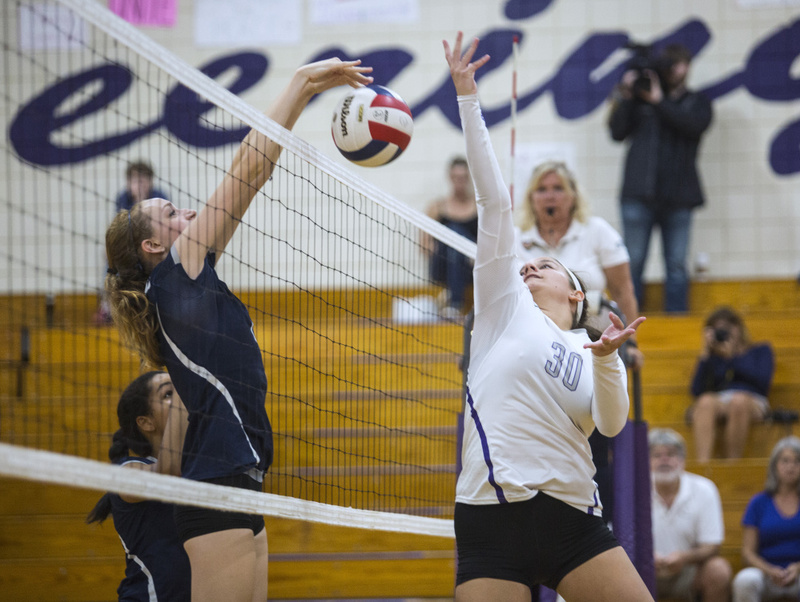 YARMOUTH 3, BRUNSWICK 0: Kaitlyn Bennett had nine kills and four service aces to lead the Clippers (2-0) to a sweep over the Dragons (0-1) at Yarmouth. 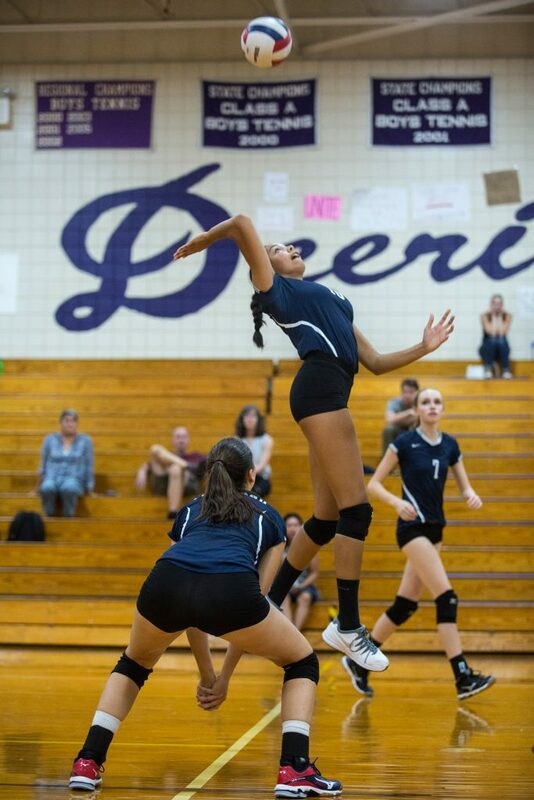 Dominique Moran had seven service aces for Yarmouth, which won, 25-9, 25-17 and 25-14. Sophie Katz had four aces and two kills, and Abby Gauthier had two digs for Brunswick. THORNTON ACADEMY 3, MARSHWOOD 1: Sarah Casey had eight aces and Laura Fortier had five kills as the Trojans (1-1) beat the Hawks (0-1) in four sets at Saco. 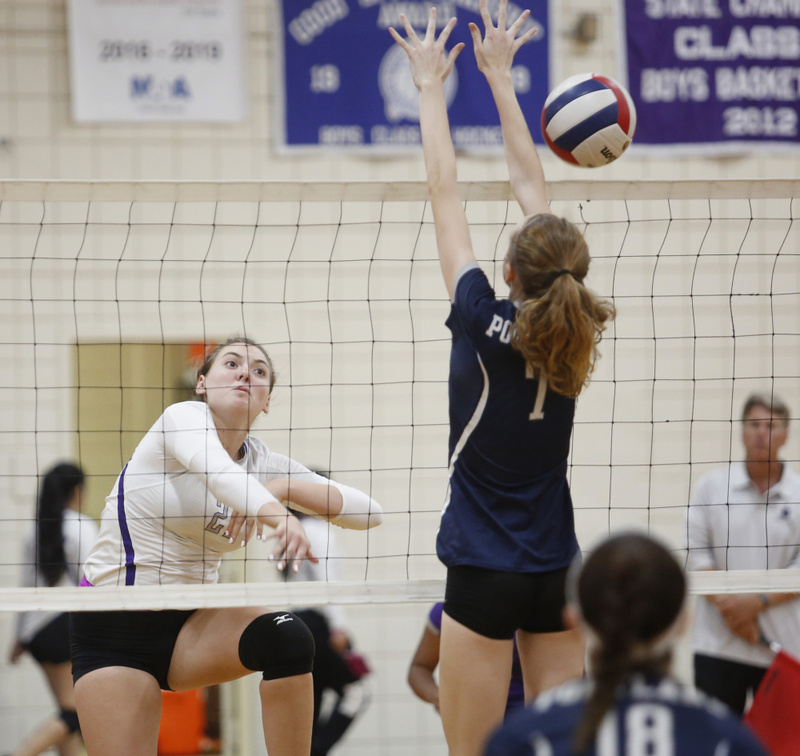 Olivia Howe added seven aces for Thornton, which won 25-13, 25-10, 19-25 and 25-18. 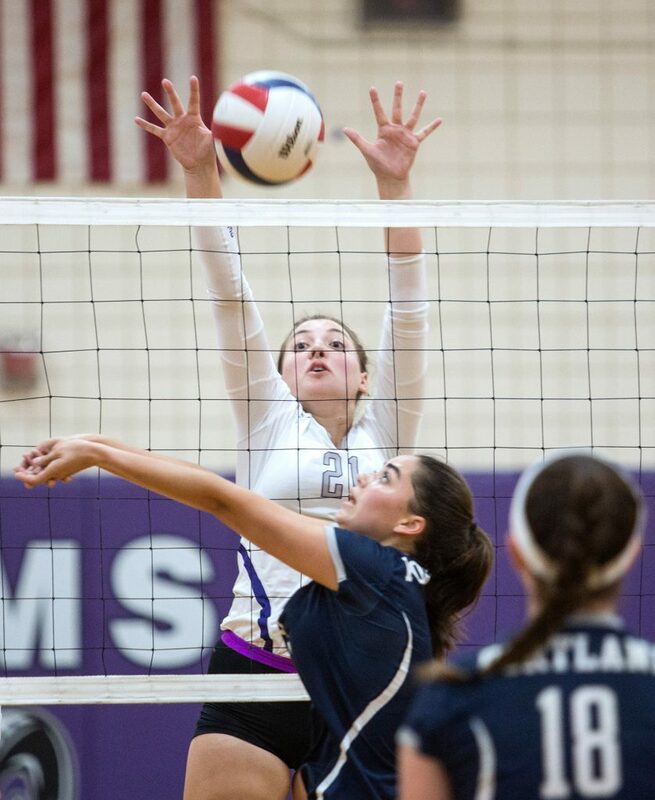 DEERING 3, PORTLAND 0: Maddy Broda recorded 24 assists to lead the Rams (2-0) to victory in straight sets over the Bulldogs (1-1) in Portland. 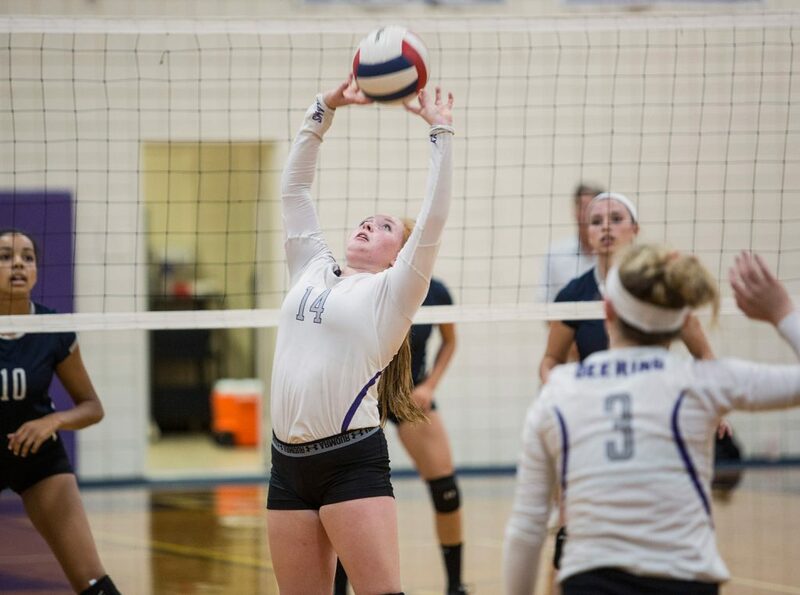 Dianne Dervis and Avery Donovan each recorded seven kills for Deering. Ashely Chadbourne recorded six kills and four blocks for Portland. SCARBOROUGH 3, WINDHAM 0: Caelyn Sheil had seven kills and three aces as the Red Storm (1-1) swept the Eagles (1-1) in Windham. Asia Mattress had a team-high nine kills for Scarborough, which won 27-25, 25-7 and 25-11. Meghan Harmon had three kills for Windham. BRUNSWICK 3, EDWARD LITTLE 0: Maeve Arthur’s two goals led the Dragons (2-0) to a victory over Edward Little (1-1) in Brunswick. Sara Scrapchansky scored Brunswick’s other goal. Beth Labbe made five saves for the win. CAPE ELIZABETH 4, GRAY-NEW GLOUCESTER 0: Grace Gillian scored two goals for the Capers (1-1) in a shutout win over the Patriots (0-2) at Cape Elizabeth. Prezli Piscopo and Karli Chapin each added a goal for Cape Elizabeth in a game shortened by weather.